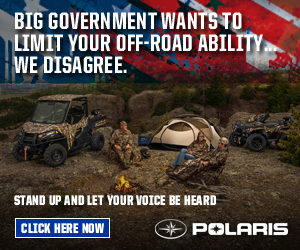 Polaris® Industries Inc. (NYSE: PII), the leading manufacturer of off-road vehicles, today asked off-road enthusiasts to stand up and let their voices be heard regarding the Consumer Product Safety Commission’s (CPSC) proposed mandates for off-road, side-by-side vehicles (ROVs). industry and negatively impact off-road customers. restrictive driver and passenger restraint and seatbelt systems.